LP SmartSide trim and siding help give your home the warm, natural look of real cedar without the worries. 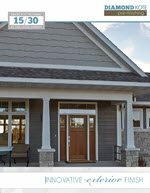 It’s an upgrade from vinyl siding and a beautiful, durable alternative to fiber cement. 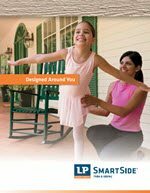 Plus, LP SmartSide products are the perfect accent to brick, stone or stucco homes. 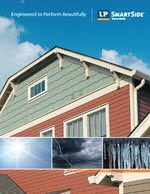 With an extensive array of siding profiles, available in either cedar wood grain or smooth textures, you can make your home the ultimate reflection of your unique style. 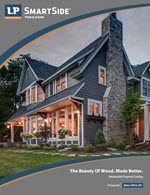 LP® SmartSide® Trim & Siding products offer all the warmth and beauty of traditional wood, along with all the advantages of LP engineered wood. Our advanced technology actually improves upon nature, creating products that are far more durable and consistent than traditional wood materials. 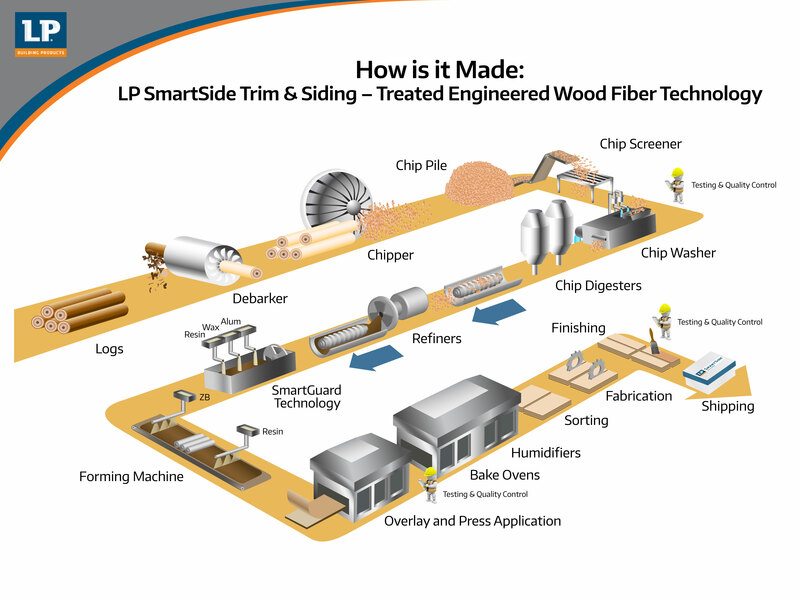 Free of knots and common defects, LP SmartSide products resist twisting, warping, cupping and shrinking. They work and cut just like traditional wood, taking nails and screws with ease—with no special tools required. Diamond Kote is an innovative pre-finish built on LP® SmartSide® for exterior siding, backed by a 15/30-Year No Fade Warranty. With 30 colors to choose from and a custom color option the possibilities are endless. Get peace of mind with our engineered products that bring durability and maximum protection for your home. 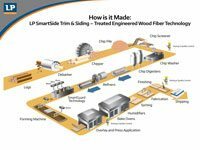 If you're curious about how LP SmartSide products are made then you'll enjoy looking at this detailed infographic.